Al-Jubeir said also said that cooperation between Moscow and Riyadh in no way contradicts Riyadh’s partnership with Washington. An array of US and EU sanctions on the Russian economy could be poised to be lifted in the near future, Saudi Arabia’s Foreign Minister, Adel Al-Jubeir, told Russian state TV, adding that his country’s close ties with Washington do not present an obstacle for cooperation with Moscow. “We hope that an arrangement can be worked out where Russia and the international community can work out their differences so that the sanctions can be removed. And I expect that this will be soon,”Al-Jubeir said in an interview to Rossyia-24 television aired Friday, in response to a question about whether the anti-Russia sanctions would hamper investment projects. The foreign minister went on to note that Saudi Arabia sees Russia as a “friendly country” and is seeking greater cooperation in energy and other areas. He also praised Russia’s role in the Middle East and said that it could contribute to the resolution of a number of regional conflicts. “We both want to see a peaceful resolution of a conflict in Syria, based on Geneva declarations and the UN Security Council resolutions,” he added. 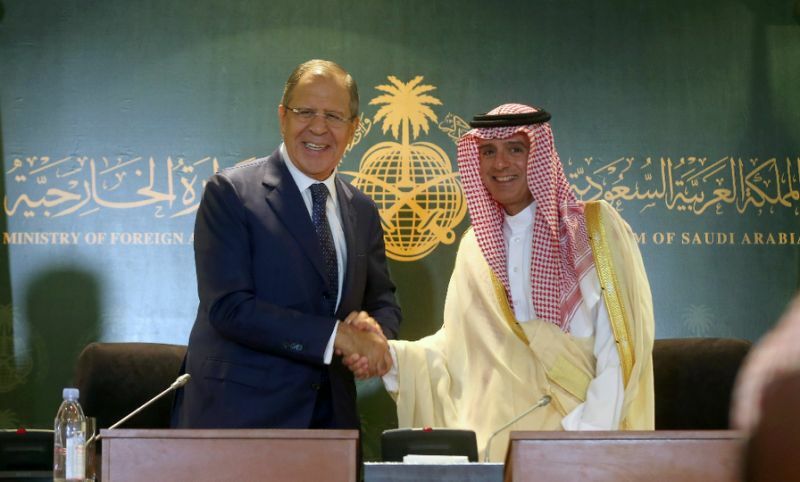 Al-Jubeir said also said that cooperation between Moscow and Riyadh in no way contradicts Riyadh’s partnership with Washington, as both Russia and US play a vital role in resolving conflicts that plague the Middle East. “Our relationship with the US is a strategic partnership, as you correctly pointed out, [but] we do not believe that improving our relationship with Russia is going to affect negatively our relations with the US. We want to have good ties with everybody,” he said. The first-ever visit of Saudi King Salman bin Abdulaziz Al Saud to Russia, which is to wrap up Sunday, has seen billions of dollars’ worth of deals being sealed on its sidelines, including the establishment of a $1 billion joint energy investment fund. Among the various deals was a preliminary agreement for Saudi Arabia to purchase Russia’s most advanced S-400 missile defense systems, which would see the transfer of cutting-edge technologies to the oil-rich kingdom. It was estimated that the contract may be worth $3 billion. Moscow and Riyadh also clinched a deal enabling a Saudi Arabian arms manufacturer to start production of the AK-103 Kalashnikov rifle.